In today’s busy world where most people have limited time to exercise, high intensity interval training (HIIT) has become immensely popular since it offers a fast way to sculpt a leaner physique. With studies showing how short bursts of intense exercise (near maximal effort) can increase metabolism and burn body fat, HIIT can help you reach your weight loss and fitness goals without spending hours running on the treadmill or slaving away on the elliptical. Plus, research continues to mount suggesting that HIIT training can strengthen your heart, improve blood pressure, build endurance, and provide many anti-aging benefits. But is there a downside to this form of training and should everyone be doing it? 1) What benefits one person doesn’t necessarily mean it’s ideal for someone else. During high intensity interval training, stress hormones, like cortisol, are released. The short term effects of cortisol can be positive, compelling your body to adapt and become stronger. Longer term increases in cortisol, on the other hand, can lead to fatigue, mood disturbance, fat gain, and joint and muscle pain. The detrimental effects of excessive cortisol production can be especially problematic for women as highlighted in this Yale University Study. 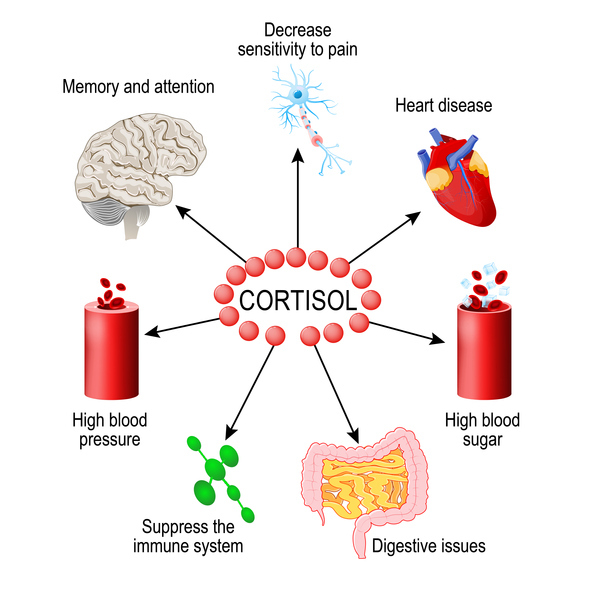 Cortisol affects your body in many different ways. Because of the high demands HIIT workouts place on your body, the key is determining the minimum effective dose that enables you to enjoy the benefits while enabling your body to adequately recover. Incomplete/insufficient recovery between workouts can compromise your results. So the question is: should you be doing HIIT and, if so, how much should you be doing? First and foremost, if you have a heart condition, hormonal issues, or you suffer from chronic fatigue, you should not be doing HIIT training. We recommend that you consult with your primary care doctor before beginning any kind of exercise or nutrition program. Being smart and being safe are always top priorities. If you are in good health, but you’re a beginner who has limited to zero training experience, we recommend starting slow. It’s important to build a base of fitness and learn proper movement techniques, preferably under the guidance of an experienced personal trainer, before engaging in HIIT workouts. Without an understanding of the basic movement patterns, you’re more likely to injure yourself with HIIT since it involves performing exercises quickly and often under fatigue. Limit HIIT to 1-2 days per week. Getting started with just 1-2 days per week will help build a base of fitness without overtraining. We suggest keeping the workouts brief, no longer than 15-20 minutes. Keep the intervals short. 20 to 30 seconds is a good starting place. Anything longer and you’ll likely find it difficult to keep the intensity high. Use a heart rate monitor. If you’d like to maximize the benefits of HIIT, using a heart rate monitor is highly recommended. We suggest that you not exceed 85 percent of your maximum zone until you’ve trained for at least 6 months. You can establish your max heart rate by subtracting your age from 220. For example, if you’re 30 years old, your approximate max heart rate will be 190, and you will reach the 85 percent maximum zone when your heart rate hits 161.5. Allow your heart rate to return down to 65 percent of maximum between intervals. Use the talk test. If you don’t own a heart rate monitor, use the talk test to assess if you're pushing yourself enough. During the intervals, you shouldn’t be able to speak in complete sentences. Allow recovery between intervals. The rest interval is the important part of interval training. If you aren’t resting between intervals, you’re not doing HIIT! If your interval is 20 seconds in length, allow yourself 2-3 times the length of time for recovery (in this case, 40-60 seconds between intervals). Don't do HIIT on back-to-back days. As a beginner, at most, do high intensity interval training one to two days times per week on non-consecutive days. On non-interval days, do lower intensity, steady-state cardio for 25-30 minutes in the morning before breakfast. HIIT it with an AUMie. Nothing helps you work harder than training with a friend and supporting each other during your workouts. Alternate your work and rest intervals with a partner. While your partner works, you recover and vice versa. After a couple of months of consistent exercise comprised of a mix of cardio and resistance training across several days per week, then you can increase the intensity of your workouts (up to 90 percent of maximum heart rate) and the number of weekly HIIT sessions to two or three. Based upon research, limit the time you spend with your heart rate above 90 percent maximum to 30-40 minutes per week and balance it with other, less demanding workouts in order to prevent overtraining. By combining lower-intensity cardio with HIIT, and strength training, you’ll effectively train your various energy systems and optimize the results you achieve. Share on social media with someone who could benefit.